Bismarck Parks and Recreation District (BPRD) joins the ranks of elite park and recreation agencies across the country by earning accreditation through the Commission for Accreditation of Park and Recreation Agencies (CAPRA) and the National Recreation and Park Association (NRPA). 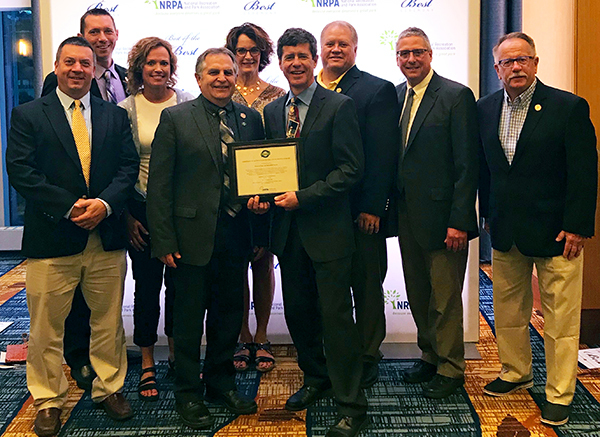 This distinguished accomplishment was awarded during the 2018 NRPA Annual Conference in Indianapolis, Indiana. CAPRA accreditation is the only national accreditation for park and recreation agencies and is a measure of an agency’s overall quality of operation, management and service to the community. This mark of distinction indicates that an agency has met rigorous standards related to the management and administration of lands, facilities, resources, programs, safety and services. As part of the accreditation process, BPRD had to demonstrate compliance with 151 recognized standards and document all policies and procedures, all of which translate into higher quality service and operation to benefit the community. “There are over 12,000 park and recreation agencies in the country, and only 178 are accredited. Bismarck Parks and Recreation District is very proud of this distinction, and shares this honor with the citizens of Bismarck,” said Randy Bina, BPRD Executive Director. The process of accreditation is extensive, and involves a formal application, self-assessments, a site visit by a team of trained visitors that results in a written report, and a hearing with the commission to grant accreditation. Once accredited, the agency must uphold the standards by submitting an annual report and is reviewed again in five years. BPRD was first accredited in 2008 and was reaccredited in 2013. BPRD was the first and remains the only accredited park and recreation agency in North Dakota. 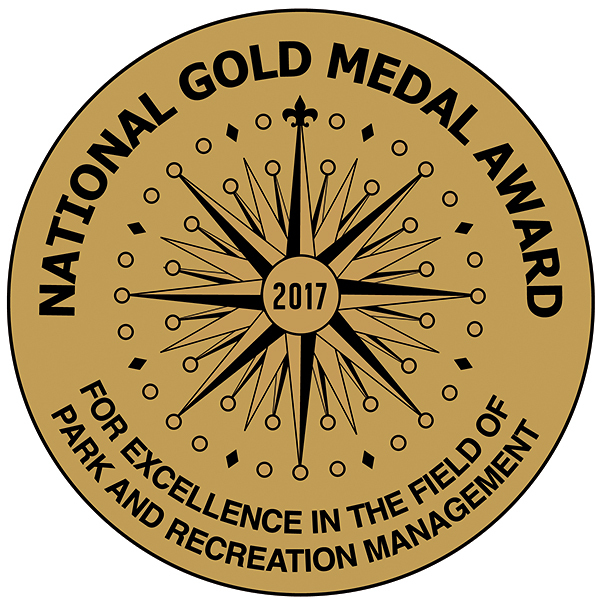 The accreditation news comes just one year after BPRD received the park and recreation profession’s highest honor, the Gold Medal. BPRD Executive Director Randy Bina and Board of Park Commissioner President Brian Beattie accepted the reaccreditation honor on behalf of the district, staff and the Board of Park Commissioners. Kevin Klipfel, Facilities and Programs Director; Dave Mayer, Operations Director; RaNae Jochim, Recreation Manager; Randy Bina, BPRD Executive Director; Paula Redmann, Community Relations Manager; Brian Beattie, President, Board of Park Commissioners; Wayne Munson, Board of Park Commissioners; Mike Wald, Facilities Manager and Mark Zimmerman, Board of Park Commissioners.